Robert H. Sorosky, M.D., F.A.C.S. ; Edward H. Park, M.D. Last year after a nationwide search, Dr. Robert H. Sorosky invited Dr. Edward H. Park to join The Cosmetic Surgery Center in Upland, CA. Dr. Park graduated from John Hopkins University and Pennsylvania State University Medical School. He then completed a six year residency program in general surgery and plastic and reconstructive surgery at the prestigious Stanford University. He is adept at the latest endoscopic or minimally invasive techniques as well as new approaches to breast and body contouring. Dr. Sorosky has been practicing in the Inland Empire for more than 25 years and has performed over 30,000 procedures. He is fully trained and board certified in The American Board of Otolaryngology – Head and Neck Surgery and The American Board of Facial Plastic and Reconstructive Surgery. The merging of these two physician’s talents has led to a dynamic and unique partnership. “We build upon each other’s strengths. This is an exciting opportunity to merge complementary philosophies, said Dr. Sorosky. “Because of the commonality between facial plastic surgery and general plastic surgery, with emphasis on the aesthetics, this collaboration will lead to superior results,” he added. Such an association of these specialties is extremely unusual, with only a few known similar partnerships in the United Sates. “Dr. Park is an exciting addition to our team, and we have introduced new techniques into our practice,” Dr. Sorosky added. 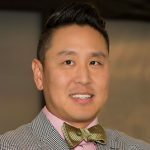 As a trained general plastic and reconstructive surgeon, Dr. Park believes his background will also the scope of the practice to include post-weight reduction surgery. “Weight loss has become a huge trend in recent years, and these patients are to be commended for their efforts in losing weight. They are healthier in terms of their medical condition as well as their self-esteem, Dr. Park said. However he said these patients often need surgery to remove excess skin and tissue from areas of their bodies such as the arms, legs, torso, abdomen and/or breasts. “Whenever possible, natural weight loss through diet and exercise are preferable to weight reduction surgery,” Dr. Sorosky noted. Dr. Sorosky and Dr. Park’s philosophy is that patients should be in their best possible health and fitness prior to surgery. One such patient is Michelle who manages the Spa for Women in Upland. When she started to work at the spa several years ago, she 245 pounds and was an unhealthy size 20. Utilizing the Spa’s facility and with the help of a trainer, Michelle lost 125 pounds, was a healthy size 5 and in the best shape of her life. That was when she asked for some help in removing and tightening the loose skin of her breasts and abdomen by undergoing a breast lift and tummy tuck with Dr. Park and Dr. Sorosky at their surgery center. “I never dreamed I could look this good,” she said. “I know I will always have to continue my exercises and healthy diet to maintain my results,” she added. Since the conception and initial implementation of this partnership, the practice of Dr. Sorosky and Dr. has strategically focused on patients with a combined dual approach using ideas from both fields. The sharing of such ideas has enhanced the assessment and evaluation of patients resulting in superior cosmetic results. “We have the best of both worlds,” says Dr. Park. “There have always been differences between cosmetic and general plastic surgeons, however, we have found that combining our expertise and knowledge in these areas has led to innovative ideas and extraordinary results,” he added. Working together has also added to the safety of patients undergoing multiple procedures such as in an “extreme makeover” project. And with two surgeons working together on combined procedures, there is shorter operating room time, less anesthesia and therefore a shorter recovery. One such patient is Patricia who states, “After undergoing gastric bypass surgery and losing over 100 ponds, my body no longer had the elasticity it once did. “I was referred to Dr. Sorosky and Dr. Park by friends as being the best cosmetic surgeons in the area. I am ecstatic with the results of my procedures, including a forehead lift, upper and lower eyelid lifts and rhinoplasty. But I am especially thrilled with my breast reduction and lift. “My breasts look fabulous, and I can’t express how much I appreciate the wonderful job both Dr. Sorosky and Dr. Park did for me.” Pam still plans to return for a tummy tuck and possible further body contouring. This unique dual approach has allowed cosmetic surgery to evolve to a new level bringing the best of worlds to the patient.